Last Summer, photographer Roger Ballen was invited to Rome by Macro for a lecture and book signing. Born in New York in 1950, Ballen has been living in South Africa for over forty years. 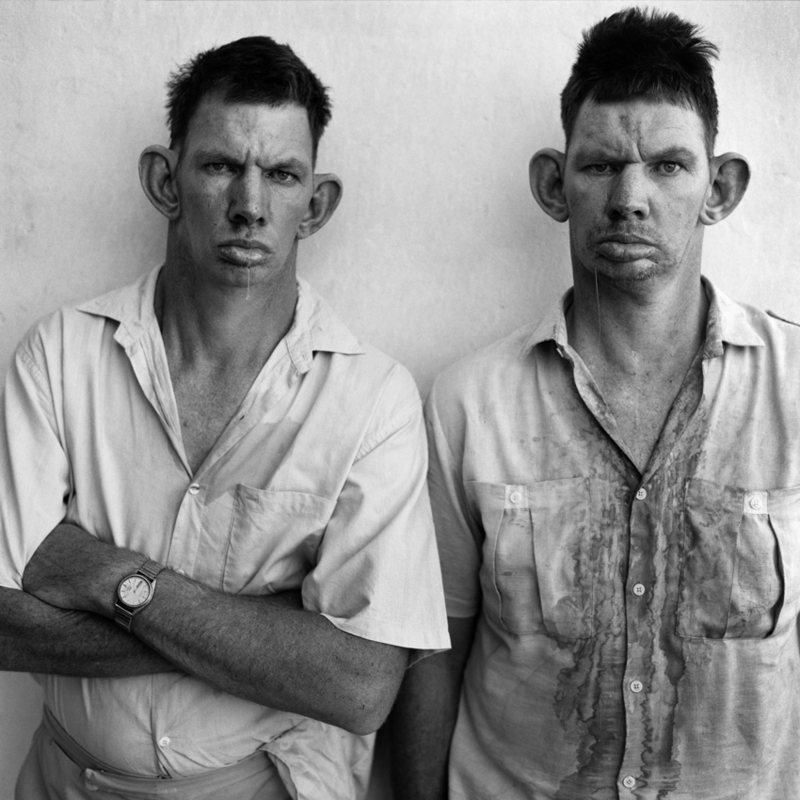 He came to fame as an artist with a series of portraits of poor white Afrikaners. His poetics soon shifted away from a documentary approach to a more expressionist vision, eventually coming to include staging and proper fiction. The classical style of his early photography evolved into a conceptual work of deeply disturbing power, such as that published by Phaidon in Outland (2001), Fact or Fiction (2003), Shadow Chamber (2005) and Boarding House (2009). Incidentally, millions now know about Roger Ballen because he directed the music video for Die Antwoord’s I Fink U Freaky. Our friend, photographer Lorenzo Castore was there that day and took the opportunity to record a short conversation with Roger Ballen, who was so kind as to first ask Lorenzo about his latest effort, a project called No Peace Without War. Lorenzo Castore: No Peace Without War is about Ewa and Piotr, a brother and sister who, ever since their father died, have been living together in a two room apartment in Krakow, Poland, in the same street where I have lived for six years. Ewa and Piotr are in their sixties now, they come from a well-off family and they have lived an eccentric party life, they are sophisticated and very special people. They lost everything and apparently they didn’t do anything to stop their decay. Now they live in a stinky but, in a way, tasteful apartment and despite their tragic, surreal situation they still can be light about destiny and choices and smart and sharp as knife in their considerations about life and everything. They live like under siege, far away from society. They don’t regret and they don’t complain. I made friends with them and built a deep and equal relationship. I don’t know exactly what happened in their lives. But facts, I should add, were never a point of interest in this story. Through the years, I found all these beautiful childhood pictures taken by their father who was a very good amateur photographer. There’s a big misty part in their lives that is in between the falling present and the golden age their childhood was, so the thing is basically about questioning. Whatever happened to them, I wish that those who will look at my work will feel it individually, turning those questions to themselves. The nonsense of fate, the impossibility of living and the beauty of life against all odds, the weight of History upon marginal family stories and, above all, Ewa and Piotr as human beings: these are some of the issues that moved me towards this work. 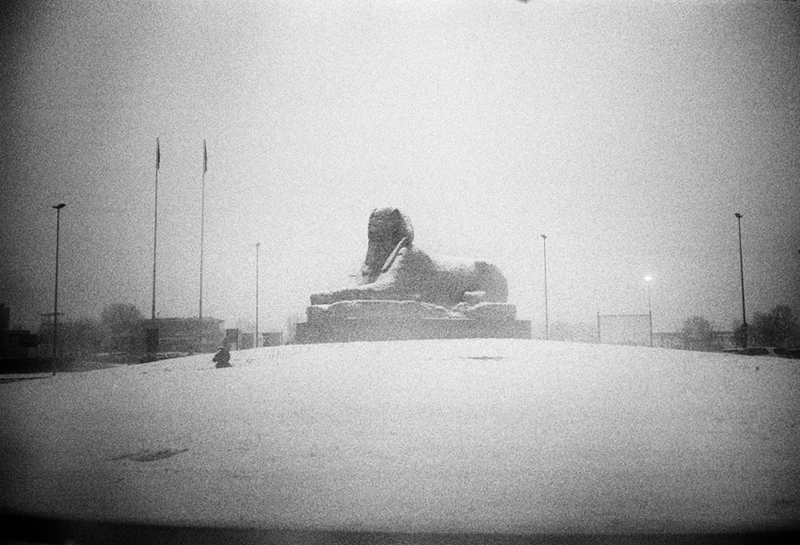 LC: Photography, History, society. In the 90s you were considered kind of politically involved as a photographer. At least in South Africa, when you portrayed not only the black people, but also the whites from a very harsh and desperate point of view. How relevant are politics to your life and work? 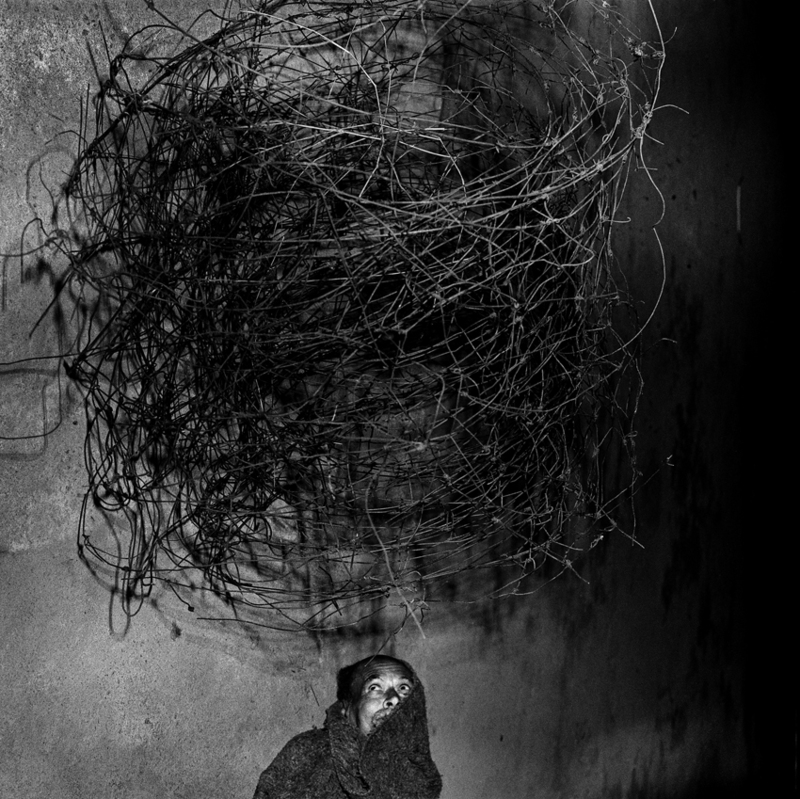 Roger Ballen: My work is fundamentally psychological in nature: not political or social, but psychological. One of the reasons why the photos I took in South Africa had such a big impact at the time and why they still do, could be that they strive to embed themselves into people’s deeper subconscious. When I show them outside of South Africa, those pictures still have a great impact on the viewers even if they have never experienced that reality. I believe the images went way beyond the circumstances, perhaps telling something about the human condition in general. 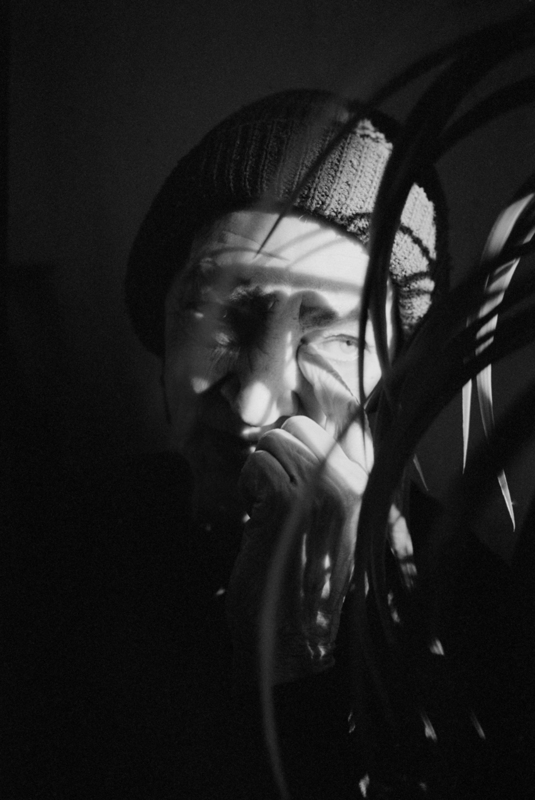 LC: I have always thought your photography was not about specific people living in a specific environment, but about mankind. Just because photography deals with reality it doesn’t mean it has to be literal and directly related to its subject. As I know, you don’t especially care about photography and I don’t either. What’s really crucial here is what you want to express and not the means you use to express it. It would be a big limitation to consider your work as a social reality only. When we met in Johannesburg I remember you had two very different cars in your garage, a red jeep and a BMW. This seems to me a simple example of that combination of the real and the surreal I see in your photos. Maybe good art should be more about mystery than about description, but how do you relate to the more militant soul of photography? RB: Every means of expression has its strengths and weaknesses. Photography has a hundred and fifty years of history behind it, in which it has been considered mainly a documenting device. People tend to see photography as a portrayal of reality. But images can’t be just objectified realities, they are necessarily transformed realities, which depend on the eye behind the lens. LC: You once told me that if you had to choose your favorite form of art, you would pick painting. Is that still true? RB: I don’t have a favorite form of art. I was born a photographer, I will die a photographer. In all humility, I believe my photos are so strong because I’m really just a photographer. I just became addicted to photography when I was seventeen or eighteen years old. Now I’m sixty-two and this ongoing process hasn’t tired me yet. It’s always been a challenge for me, I am continuously mastering it, challenging myself in all sorts of ways. LC: On the cover of your first book there’s a picture of a boy with a frog in his hand. It’s simply amazing and I always thought it already contained the core of your successive body of work. RB: It’s true. It’s like that comment you will always make in your life, that thing you always say, but it’s different each time. LC: You grew up in New York and you have worked as a geologist. Then you traveled and eventually you moved to South Africa. How do you combine these two parts of your life? How does the geologist live together with the photographer? Again, how confident are you in switching from the red jeep to the BMW? RB: It’s all about balance. It was this career in geology that allowed me to continually do my photography. I loved being a geologist. Geology is about the earth and the history of its evolution, how forces of time interact. What could be more satisfying? And on the other hand you have to consider that photography is one of the most difficult businesses in the world. How many pictures are taken everyday? Millions all over the world, and we as artists should find the way of taking unique pictures, meaningful pictures, keeping in mind that the chance of making a success of yourself is like a zero point something percent. This is no different from any other job. It’s like being an athlete: if you stop training for a week you start to get out of shape. The time, the discipline, the passion: all these things are necessary day after day, year after year otherwise it doesn’t go anywhere. LC: The walls of your studio in Johannesburg are an amazing combination between your pictures and rocks. Your work certainly has a direct link to sculpture in the sense that it is really material. It’s meticulously organized in its form, but yet it has a very strong symbolic impact on the viewer. RB: A picture won’t have the same impact unless the form is right. The coherence in form allows the item, the signs and the symbols to come together. Going back to the idea of athletics, if you’re Tiger Woods your form will be to the point, precise, strong, accurate. It’s the same with photography: it’s an organic hold, all the things work together. 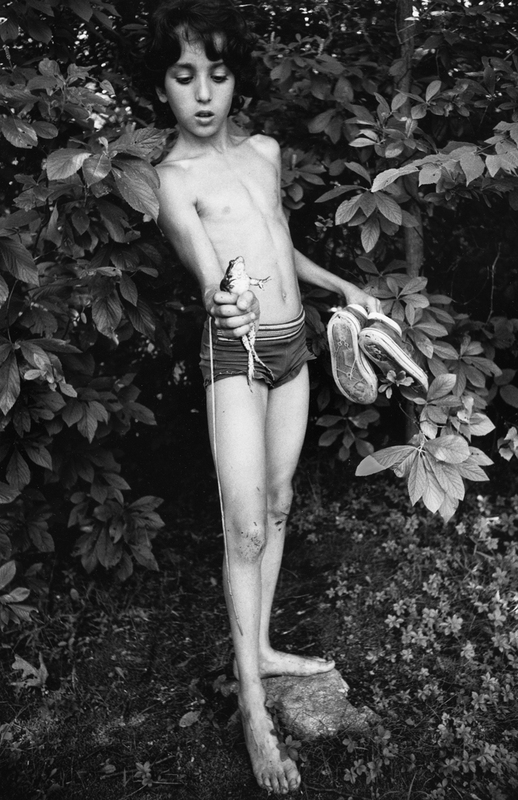 LC: Which photographers had a big influence on your work when you were younger? RB: People like Paul Strand. Classical photographers. That’s all that existed in those days. Photography was all about that Magnum-type black and white. There was very little conceptual work, if any, it just didn’t exist. I got to know most of the photographers at the time. Each one contributed a little bit to what I did, but ultimately, in the last ten years, I can’t really find influences to what I do. It’s really all about following my own space, being in my own place, creating and working with my own world. I can mention fifty people who I was aware of, but at the end of the day I would say I started to try to find my own voice at a very early age. When I moved to South Africa in 1982 I did this almost alone, from 1982 to 2000 I hardly showed the work to anybody. I was really following my own way, my own experience and my own being. LC: I think geography is really important. How did your experiences in South Africa, combined with your New York and Berkeley background, influence your vision? RB: I have witnessed a lot of tension in Johannesburg, especially in 1994, yet I think my most important experience was the 1968 counterculture. I saw apartheid and this obviously played a big role in my development. 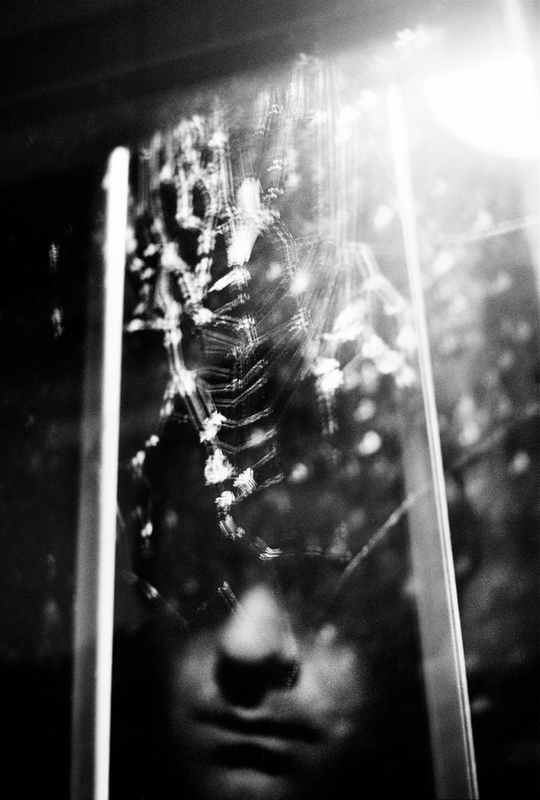 But again, I think that my pictures are fundamentally psychological. It’s nothing social, it’s always personal, it’s how I see the world. I just have the idea that this job is a lifetime commitment. I’m not interested in running around with a camera and I never do it just for money. Nowadays media are very clear about what is contemporary and what is awkward and meanings get easily lost. It’s like Mickey Mouse sitting on Mickey Mouse: what’s the point in all this? Lorenzo Castore was born in Florence in 1973. He has worked as a photographer in Europe and New York, Cuba and India, and has published the books Nero (2004) and Paradiso (2006). Castore usually undertakes long-term projects such as the mentioned No Peace Without War, which includes a medium-length film, shot in collaboration with filmmaker Adam Cohen and musician Christian Fennesz. Finally completed after over five years, No Peace Without War was screened last month in Warsaw at the Plus Cameraimage Festival and it was awarded with the first prize for its “originality, fearlessness and disturbing weirdness”. A selection of photos from the No Peace Without War series can be viewed here. 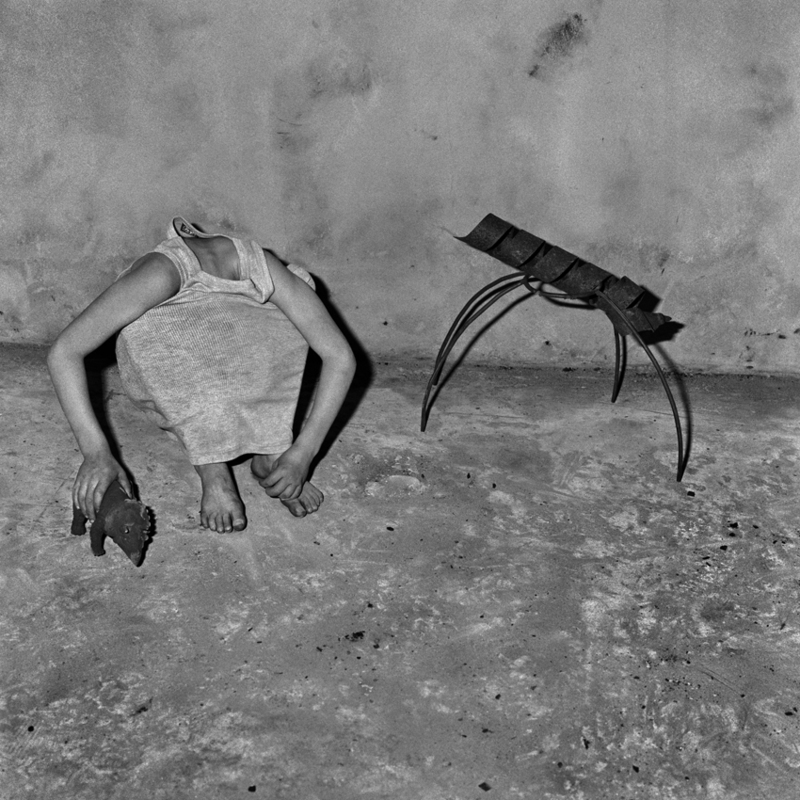 The picture posted on top is Roger Ballen’s Head Inside Shirt, 2001.